So, you’re here because you want to make it to the top 500 in Overwatch Season 12. Season 11 is just about to come to a close, and whether you shot up the ranks this season or dropped SR (Skill Ranks) as if your life depended on it, doesn’t really matter anymore. With Season 12 just around the corner, everyone is about to get another chance at chasing a spot in the top 500. I have played in matches ranging from Bronze to Masters, and have been ranked in the top 500 on Overbuff in the past with Zenyatta, Winston, Lucio, and Reinhardt. The following five tips are all based on my experience in the higher ranks of Overwatch, as there are certain differences one can observe in the level of play that are quintessential to ascending to, and maintaining a high rank. This might seem obvious, but seriously, if two players on your team insta-lock Soldier: 76 and Hanzo, don’t choose DPS. Whether they’re competent or not is out of your control. It is now on your shoulders to play tank or healer, for the sake of the team. 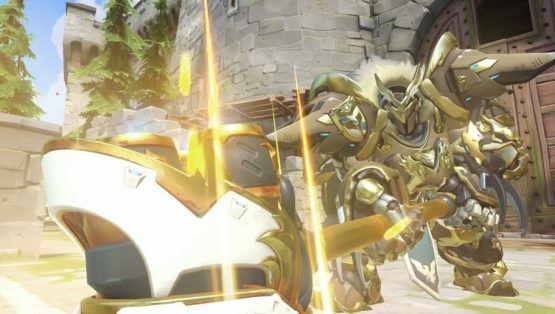 Overwatch rewards winning, and punishes losing. If you want to win, you’ve got to be on the winning team, and if your team isn’t interested in playing for the team, that doesn’t mean you should refrain from doing so. Don’t get me wrong; if you heavily main a certain hero, and regularly play well with them, then you should play them as often as possible (with the exception of pertaining to the last point, of course.) For instance, right now, if you’re not running a Hanzo on your team, you’re not making the most of the strengths of this meta. The same applies for both Brigitte and Wrecking Ball. Off-meta heroes can work fine, even the whole way up to Masters. 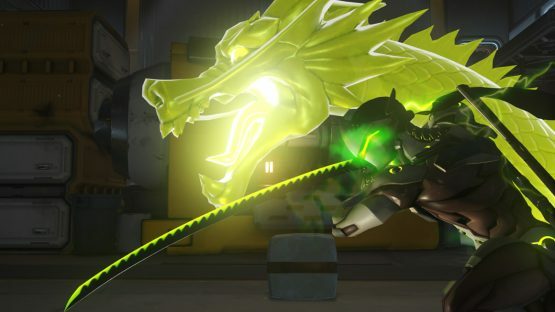 However, if you can play Hanzo and McCree equally well, you should be playing Hanzo in Season 12, because he is the strongest DPS hero on the roster right now. As for tanks, you should be aiming for synergy above all else: Winston/D.Va, Orisa/Hog, or Rein/Zarya. There is little to no point in running Winston/Zarya, for instance, unless you’ve got your other tank in comms, and you’re playing to counter a specific aspect of the enemy team. I almost refrained from including this point, as it seems so painstakingly obvious. However, it isn’t. When I solo queue, nine times out of ten, I end up with a team who aren’t in chat. This already puts you at a disadvantage, especially on console where there isn’t any text-based communication system in place. Coordination trumps all else in team-based games, so if you have no way to communicate strategy with your team, you’re losing out. A coordinated gold team can beat a diamond team if they aren’t talking to each other, and that’s a fact. Mechanics and game sense will get you so far, but even a team of players 1000 SR higher than you can be team-killed by a Grav/Dragon combo. If you play with a group who has access to microphones, you’re already ten steps closer to winning, and thus climbing as a result. So, you might find this hard to believe, but sometimes—just sometimes—a 1v6 Dragonblade isn’t going to pan out in your favor. Seriously, if you’ve lost two members of your team early in a team fight, and all of the enemy team members are still alive, back out. If that means throwing yourself off the edge of the map, or simply retreating to somewhere safe, just do it. The worst thing you can do is engage, because you’ll stagger your spawn, losing more time in the long run. Also, you’ll give the enemy team ultimate charge by allowing them to kill you. The worst kind of play I see on a regular basis is when a Roadhog goes in on his own, uses Take A Breather, and gives the enemy team 900 HP (not including TAB’s damage reduction) of ultimate charge. Now, their DPS will have their ultimates up next fight, meaning you’ll probably lose that one, too. There’s no glory in attempting a hero play, because although it may work out once in a blue moon, it won’t work any other time. That’s a fact. This is the most important tip anybody can give you in relation to competitive Overwatch. If you lose two games in a row, take a break. Go for a walk, read a book, do just about anything that isn’t queuing for another game. Aside from the fact that Overwatch’s MMR system takes whether you’re winning or losing into account on any given day, losing is definitely going to affect your ability to perform. Whether you become angry, or even simply disheartened at the thought of being punished despite the fact that you’re performing well, you should put the controller down and do something else for a while. If you come back to it after taking a decent break, you’ll perform much better. Seasons last two months each, so there’s absolutely no rush when it comes to climbing. You’ll do far better in the long run if you take regular breaks. Lots of people have gained 200 SR in a day before, but that’s no reason to play for hours on end all of the time. Take care of yourself first and foremost, and the SR will come. If you play by these five simple rules, you’ll definitely begin to climb up the SR ladder. These rules aren’t designed to apply to very specific situations; I’m not telling you that you need to be able to get four kills with every Deadeye to win. These are general rules, which anybody can follow, and they’re foolproof—especially if you set the last one as a sort of mantra for playing. Overwatch is supposed to be fun, after all, so if you’re having a hard time, just do something to recharge your batteries, and come back later.